Going to chip away at this when parts present themselves for free or close enough to it. Owes me less than $100 so far, and shouldn't be a lot more than that to finish it. But I already know it will make grown men giggle when drifting around my newly poured 359m2 of concrete. And drunk driving will be highly recommended with this machine! I grafted in a quad bike rear axle, with drum brake. 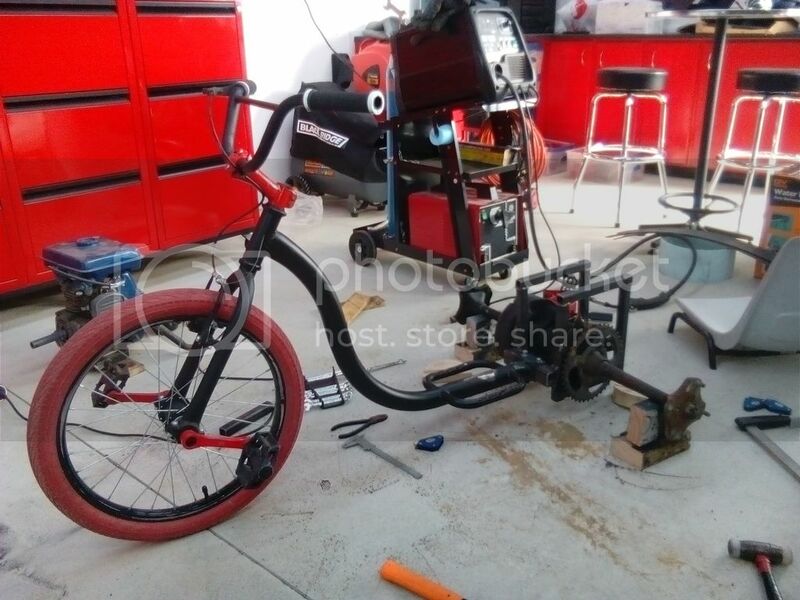 It's connected to a $20 trademe kids drift trike. 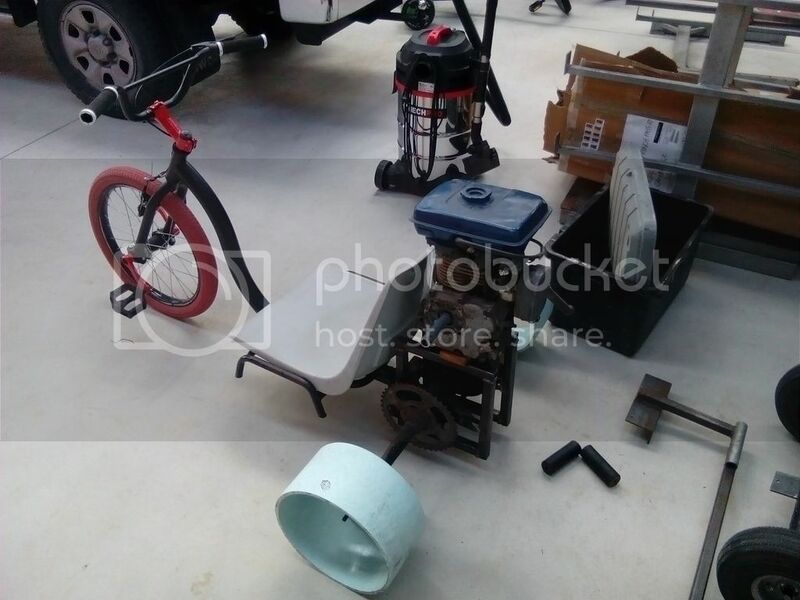 An old broken chair (free) and a motor that i pulled off another trademe gokart ($50) which I used for parts... so it really doesn't owe me anything really. Shootm, NRT, bully and 6 others like this. This was the test run, pedal powered. My 17yr old nephew who is over here from Mozambique for Christmas holiday doing the driving. It's hard to believe, but he has a broken shoulder blade, which he broke two weeks ago mountain biking... tough kid!